The recent Toronto Tech Summit was a great opportunity for Kiosk and the Toronto tech and creative communities to learn about new trends and gain first-hand insights from industry experts. The event was the second to be hosted by Genesys, the customer experience company, who assembled an engaging list of speakers from a number of notable tech firms. Not surprisingly, user experience was one point of focus for the event, with presentations delivered in a TED-style format, covering a lot of ground and providing much food for thought. Featured speakers included Sachin Mahajan, the Director of IoT (that’s “Internet of Things”) at leading Canadian telecom company Telus, who discussed emerging developments in internet-connected devices (a.k.a the Internet of Things). As to how we’ll communicate with our future web-integrated household items? UCIC have been working on voice-controlled home automation since the launch of the Kickstarter-funded Ubi computer. As the Ubi evolves into the Ubi Cloud, UCIC CEO Leor Grebler delivered an engaging presentation of the future of always-on tech and natural speech interaction. Sameera Banduk, of Thalmic Labs, the startup behind the Myo gesture-control armband, covered the expanding world of wearable computing, from currently available devices like the Apple Watch to wearable concepts that are a little further out. Meanwhile Eric Vardon, President and CEO of Canadian digital marketing agency Arcane, who covered the role of machine learning in marketing. The next generation of technologists were also represented with 5 teams from the recent Gensys Hackathon sharing their project, while prevailing tech culture was addressed by Renata Vaccaro of Klick Health, who presented on the ongoing underrepresentation of women in tech. Recommended further reading on tech culture includes this article on unconscious bias from Lauren Jackman of Medallia, a great podcast listen on Google’s use of data to improve the workplace and an MIT article on stereotypes. 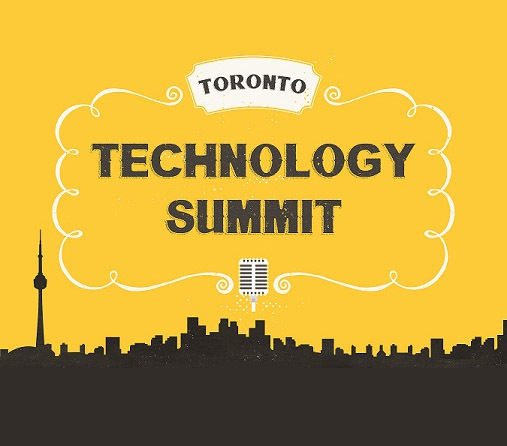 With another Toronto Tech Summit set for the Spring of 2016, the Canadian tech community has a lot to talk about and a great venue for provoking those conversations.